Aakash IIT-JEE is the Engineering wing of Aakash that was started in the year 2007. It especially coaches the engineering aspirants of classes XI and XII. PIE Education is a trusted and successful IIT-JEE & AIEEE training institution in Delhi. They are known for providing high quality practice based training programs coupled with well researched study materials. Their faculty staff is highly trained and experienced teaching with cutting edge methodologies. They aim in maintaining high ethical standards coupled with honesty and integrity infused in the students to help them achieve a rank in the aspired engineering examinations. 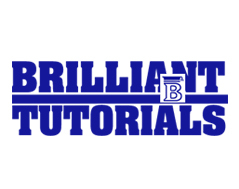 Brilliant Tutorials is considered as the peerless, pioneering institution in distance education. The institute offers excellent course material, experienced faculty and a committed management for preparing students for competitive entrance examinations in the national level. ABC classes in Delhi have been specializing in guiding students for IIT JEE entrance exams. They provide distinctly different facilities in matter of faculties and service. ABC Classes is actually an undergraduate division of Trajectory Education which is the leader in Graduate and Post Graduate Guidance and Training. They are therefore power packed with dedicated and experienced faculty in the field of coaching. They have been adopting sound pedagogical methods to provide support to students at all times. IIT Study Circle in Delhi provides coaching for JEE Main/JEEAdvanced and other State Level Competitive Entrance Exams. The institute moulds the students with a larger picture of the subjects by building a strong foundation. They implement latest technologies and innovations in classroom teaching for maximum output. Each faculty member is highly qualified, competent and dedicated towards the optimum learning and performance of the students and make sure that they crack both state level and national level entrances. 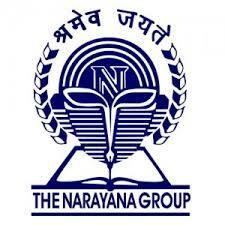 Narayana Coaching Centre in Delhi is a flagship institute guiding aspirants for different engineering examination in the country. 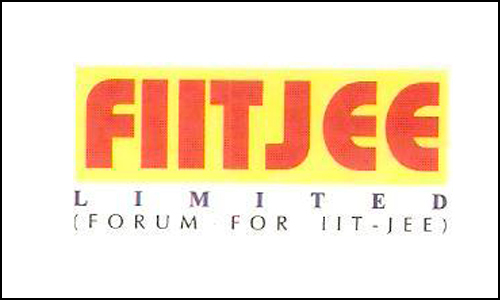 Delhi was added to the group in 2004 with two centers for IIT-JEE training in Kalu Sarai and Punjabi Bagh. After one year centres at Mayur Vihar for IIT-JEE came up. In the next year Noida, Faridabad & Gurgaon centres followed. It also has an online version of All India Test Series that was stared in 2007. Career Avenues is an ISO 9001:2000 Certified Quality Management Education System coaching center in Delhi focusing in the field of Engineering, Management, Science & Commerce. Sahil Study Circle in Delhi has been preparing young aspirants for various Engineering Entrance Exams for the past 21 years with effective results. Since the pattern of IITJEE / AIEEE keeps on changing they make sure that students take up their boards seriously. They have also been providing additional benefit in IITJEE / AIEEE entrance examination through their Online Test Series. This course starts in month of September and continues till CBSE-PMT/State PMT examination. The student will have to study the course topics by themselves and attend the test. Discussions will be done thereafter as per the schedule provided to student at time of enrolment. Vidyamandir Classes (VMC) in Delhi has been guiding students for cracking IITs. It is run by a group of Ex-IITians, who have over the years, guided thousands of IIT aspirants to fulfill their dream of getting into the prestigious IITs. All Courses are based on the time tested teaching methodology which has been perfected by VMC and which has produced unmatched results in IIT-JEE consistently over the past 20 years.